I feel as though I’ve robbed Ben Hatch. 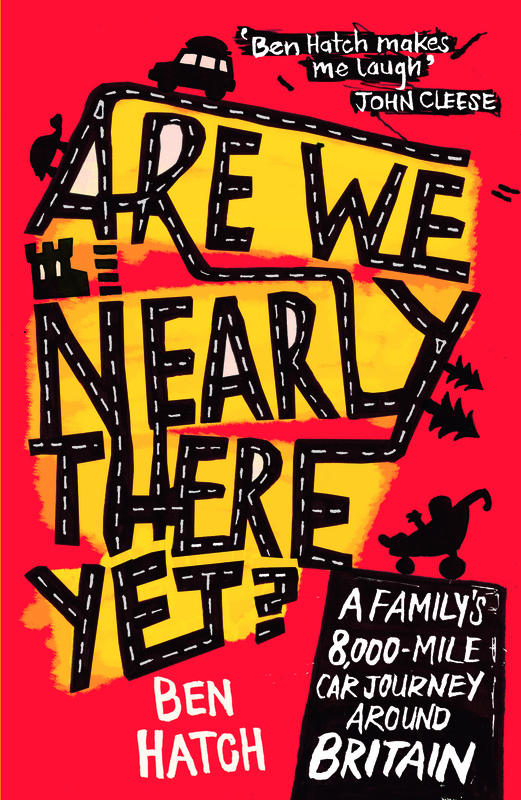 To have paid only 99p on Kindle for Are We Nearly There Yet? doesn’t seem right. But I’m going to make up for it by buying some hard copies because it would make a brilliant Christmas present for anyone who (sorry, this is quite a list): has kids of any age; hasn’t got kids and is glad; is interested in the UK; enjoys a funny/sad read; doesn’t normally enjoy reading much at all. This is the first title I’ve reviewed that isn’t fiction (you couldn’t make it up). It seamlessly crosses the territory between travelogue and family memoir. Ben Hatch is a journalist and the author of two comic novels and his natural, entertaining style had me thinking of Bill Bryson within minutes. Are We Nearly There Yet? 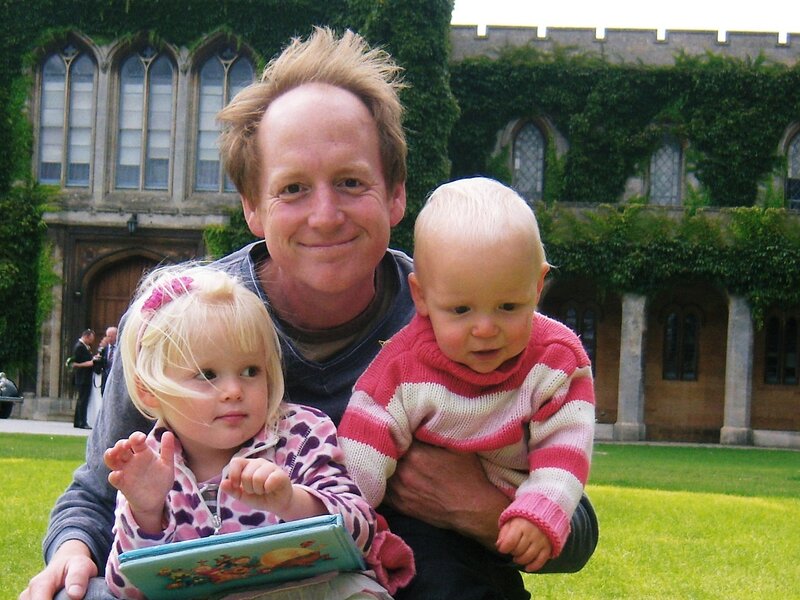 is the story of Ben and his wife Dinah taking their two children, Phoebe and Charlie, aged 3 and 2, on an 8,000 mile journey around England in an old Vauxhall Astra to research a family guidebook. Over a period of 5 months they visit a total of 434 tourist attractions (a term used loosely, as some of them prove to be anything but.) Rarely do they stay more than one night in the same accommodation. And if all of this sounds like your idea of a nightmare, you’re not alone. Friends tried to talk them out of it, predicting divorce and dire consequences. They didn’t mention liver damage but it’s something I feared, the way they laid into the booze to decompress after the kids had gone to bed. That is not a judgement, by the way, I think many people would have done the same. You feel you’re right there with them in that cramped, sticky, smelly car with the rain pelting down and the backseat tantrums ringing in your ears. My youngest child is almost 10 but I felt physically and mentally stressed by some of the ordeals they had to face – I was back there in an instant, reading how unwelcome they felt in places to eat in the Lake District, the inevitability of Ben’s decision to allow Charlie to wear slippers in bed proving to be a very bad idea, the sheer pointlessness of taking children this young to tourist attractions at all when they will either run around shrieking and snapping bits off things (as Charlie did with Stan’s head in the Laurel and Hardy Museum) or doing colouring sheets they could just as easily (or far more easily, from a parent’s perspective) have done at home. What I didn’t realise was that Are We Nearly There Yet? would have another side. In October I was writing a piece about the 20th anniversary of my Dad’s death for this blog, The Time We Had: 20 years later, I remember my Dad and although I’m pleased that I did, I found it very painful. The reader finds out early in the book that Ben’s Dad is dying, and that is on his mind throughout the trip. I could absolutely relate to his frank and moving account of how he felt about losing his father, and set against the chaos and exuberance of his family’s escapade, it makes this much more than just a funny book. Ben and I only know each other on Twitter (@BenHatch). When he read the piece about my Dad, he sent me a message that didn’t just touch me, it made me feel better. He really is one of the nicest people I’ve never met. P.S. If I hadn’t taken the decision not to include links to Amazon on this site, there would be one here. You know what to do. Fabulous fabulous review – i hope it makes people go out and buy it because it deserves not only to bought but to be read and enjoyed for everything that it is! Thanks, Kirsty, glad you enjoyed the review. As for the book, I quite agree, obviously! Lovely to have you following my blog, Victoria, I hope you enjoy it and thanks for your comment. There’s a lot of love out there for Ben, I think he is going to clean up this Christmas. As for the intricacies of the book buying mind, it’s a mystery to me! I read about ‘the incident’ on a train from Leeds to London and got some very funny looks when I laughed very loudly for a very long time. Brilliant book, great review of it. I too shall be buying copies for Christmas presents.